Dakota Playground, a division of Dakota Fence is proud to lead the way in promoting healthy lifestyles for children and families, a cleaner environment and strong communities. We've never compromise on our commitment to delivering playground products that are safe for children as well as the environment. ISO (International Organization for Standardization) is a worldwide federation of national standards bodies. Its purpose is to promote common standards for businesses worldwide. What this means is that you can purchase park and playground equipment from us with confidence because we have processes in place to manufacture a quality product while being conscious of how we are impacting the environment. We received our ISO 9001 certification in 1996, and were the first U.S. commercial playground equipment manufacturer to achieve this standard. In 1998, we were certified to ISO 14001 as the first U.S. playground equipment manufacturer and seventh company in the state of Minnesota to achieve the highest standard for conservation and recycling process. We're proud to be a founding member of the International Play Equipment Manufacturers Association (IPEMA™), a member-driven international trade organization that represents and promotes an open market for manufacturers of play equipment. In the interest of public safety, IPEMA provides third-party Product Certification services for U.S. and Canadian public play equipment and U.S. public play surfacing materials. The services, administered by TÜV SÜD America, validate our certification of conformance to the standards referenced below. 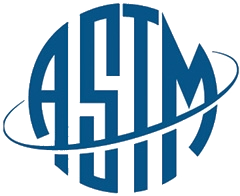 The American Society for Testing and Materials (ASTM) is a scientific and technical organization that is a developer of standards for testing different types of materials. In 1993, the ASTM published "Standard Consumer Safety Performance Specifications for Playground Equipment for Public Use," designation F1487-93. This standard has since been revised, with new standards being published in 1995, 1998, 2001, 2005, 2007 and again in 2011. The Consumer Product Safety Commission (CPSC) is a governmental organization that provides technical safety guidelines for designing, constructing, operating and maintaining public playgrounds. Additionally, we meet or exceed the CPSC's Consumer Products Safety Improvement Act (CPSIA) of 2008. 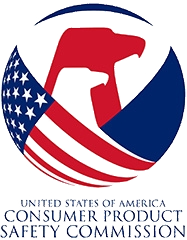 The CPSIA specifies safe limits on the maximum allowable amount of lead in paints, coatings and other materials used on children's products, and sets limits on certain heavy metals and six different phthalates (plasticizers used to make vinyl and other plastics soft and flexible) used in certain toys and childcare products. We are approved as an Authorized Provider of continuing education and training by the International Association for Continuing Education and Training (IACET).